The Combi EZ-Pack provides a semi-automatic solution for your manual packing lines. 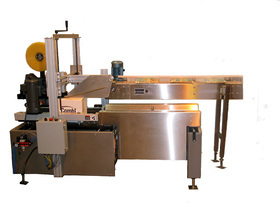 The EZ-Pack hand packing system allows one person to form, pack and seal corrugated cases in a single operation. A cost-saving step up from manually erecting and taping boxes, this value price handpack system boosts efficiencies while reducing the threat of repetitive stress injuries.